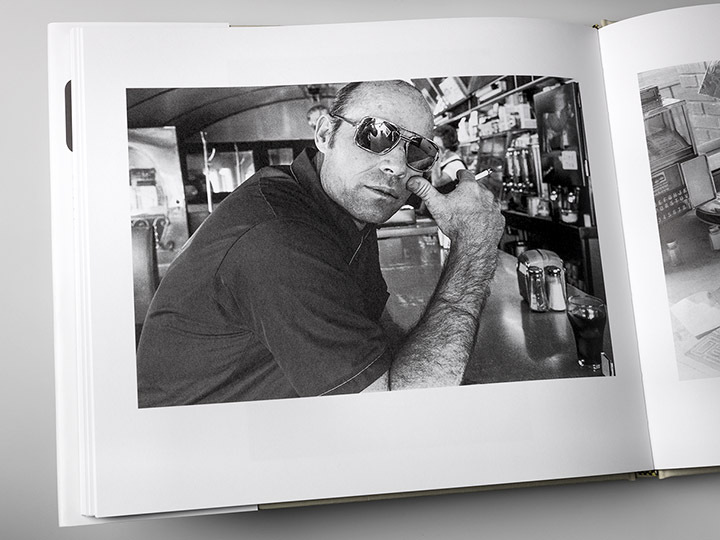 Photographer Elliott Kaufman was asked by a luxury brand client to reissue his 1979 book, American Diner, as a special edition. 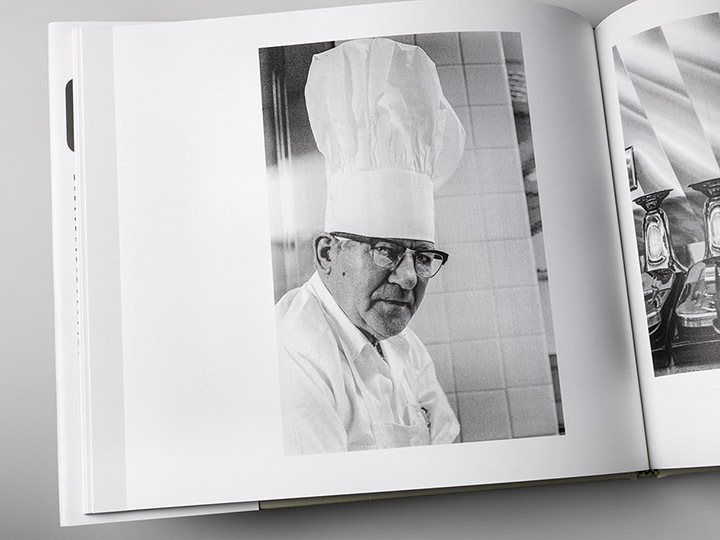 Since the original book was published long before the digital age, the images were rescanned from original 35 mm negatives and retouched by our expert team to bring a new fullness of vibrancy and fidelity. 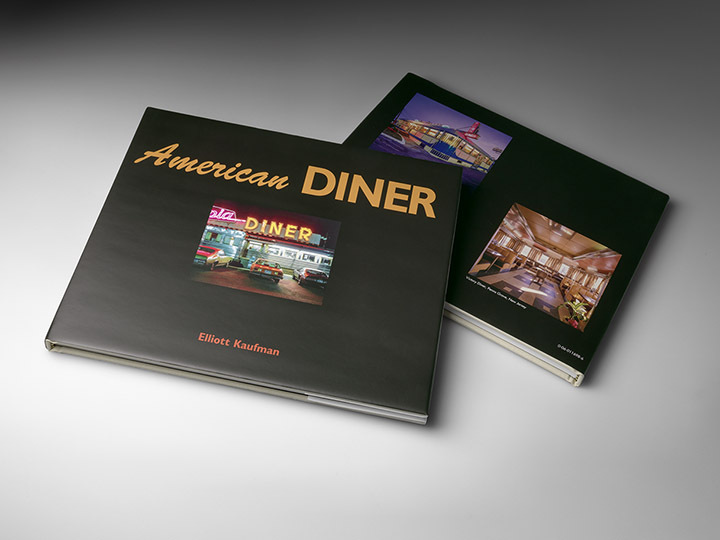 Printed digitally on our HP Indigo 12000 in full color + duotones, and on Mohawk Everyday uncoated sheets, the finished American Diner pays great homage to Elliott’s original publication. 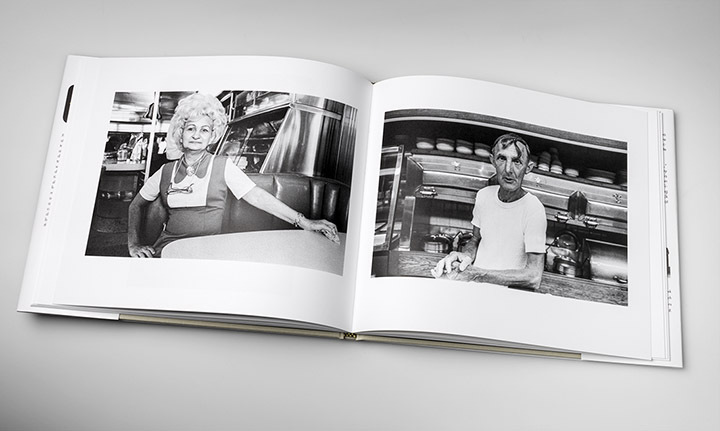 See more of Elliott’s work at www.ekaufmanfineart.com. Finished size 10.5" x 9". 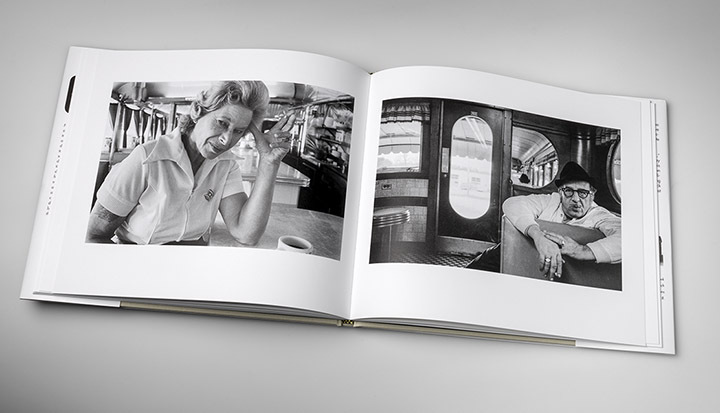 92 pages plus hard cover and dust jacket. 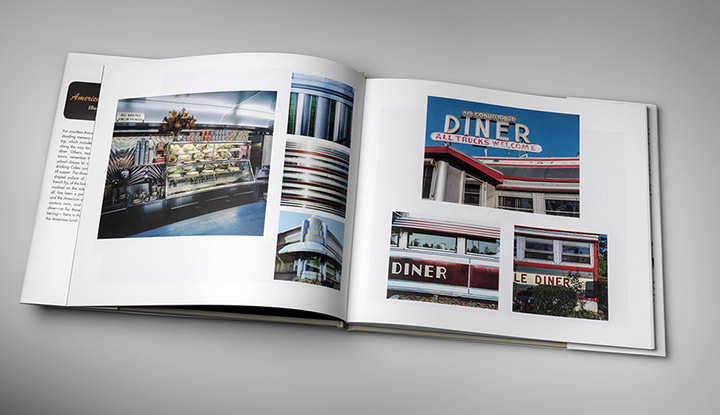 Features matte film lamination on dust jacket. 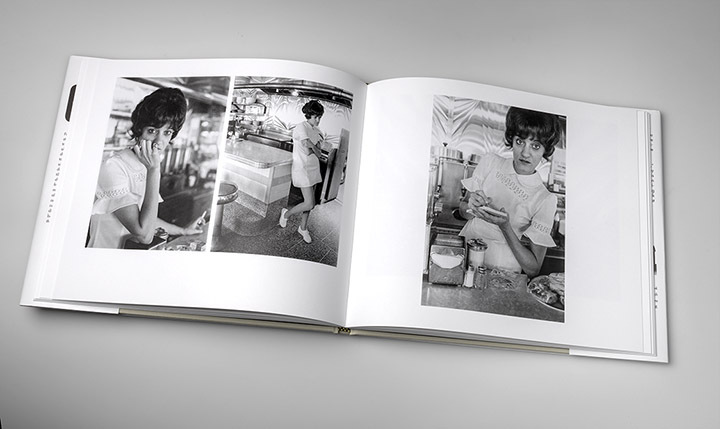 Reissue of a 1979 original publication.